Programme: Music included music for flute and orchestra by John Rutter, selections from Bizet's L'Arlesienne suites, Teleman's Voila Concerto in G, cello ensemble and Ivor Novello's Dancing Years .... plus Christmas Carols. Programme: At this concert the Canterbury Orchestra's new timpani (bought with proceeds from the 50th Anniverasy appeal) were used for the first time. The programme included Prokofiev's Romeo and Juliet, Songs of a Wayfarer by Mahler and Borodin's 2nd symphony. Programme: The profits of the concert were for the benefit of the Tower Room project at St. Mary's Church. 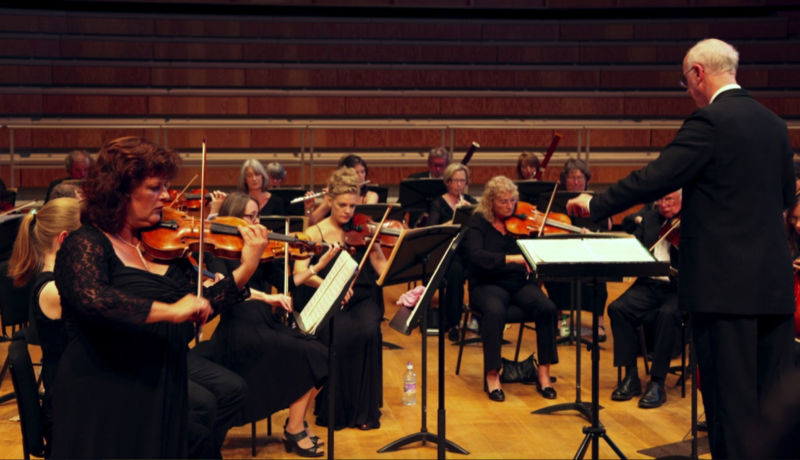 The programme included Mozart's Overture Il Seraglio, Handel's Organ Concerto in B flat, and Haydn's 99th Symphony.